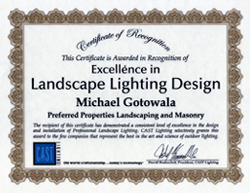 Michael is clearly one of the best landscape lighting designers in the country. In my role as a photographer of outdoor lighting, I've visited and photographed many of Michael's projects - not only were the lighting designs creative and effective, they were also installed perfectly with a great attention to detail. My photos of Michael's projects have been published in numerous trade journals and design magazines. 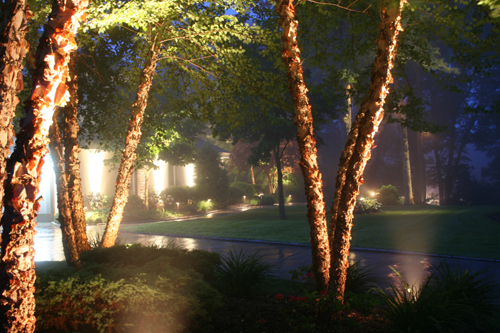 Editors are thrilled with these outstanding examples of landscape lighting. 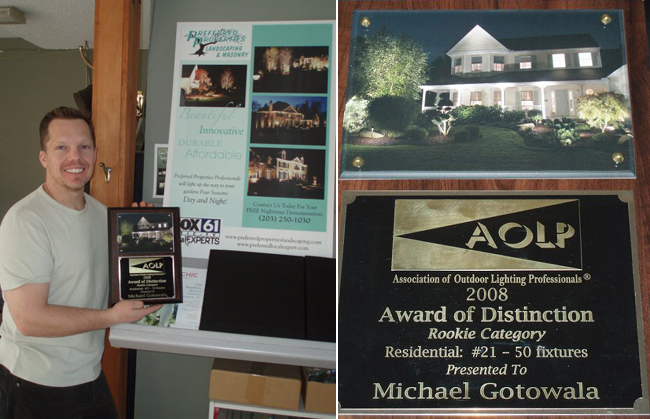 Michael has embraced both the art and science of lighting design and applies it to create compelling nighttime environments for his very lucky clients. I wholeheartedly recommend Michael for any kind of outdoor lighting product. You willed be thrilled with the results. I wanted to drop you an email to thank you for the EXCEPTIONAL service we received from Keith and Joe. They were so professional and provided TREMENDOUS client service. The work they performed was clean and tedious. They installed the lights and wires amongst rock and the lawn and you could not even tell they were there (which was well appreciated!!) We have dealt with a number of people building our home and they were by the FAR the BEST that we have worked with. Thanks so much for all you and your team did to make the lighting of our home and pool area so beautiful. Take care and we look forward to working with you in the future. We are a go with where the lights are now. I will call the office later today. When you get back can you send the paperwork? 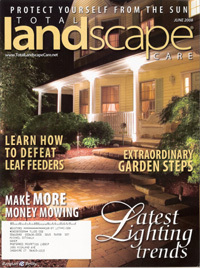 Preferred Properties Landscaping & Masonry's work was featured on the cover Total Landscape Care magazine! ... 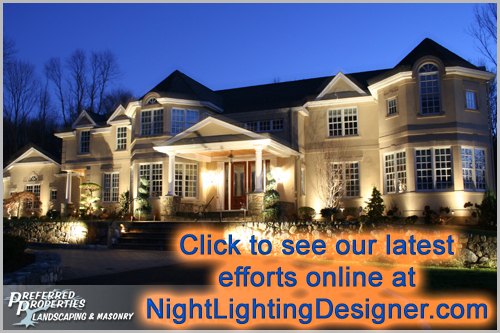 In general, homeowners do not purchase our product because it is designed to be professionally installed. My recommendation for an installer would be to speak with Michael Gotowala of Preferred Properties in Cheshire. 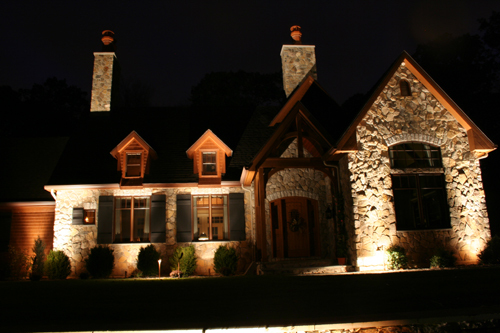 Michael is our largest CAST installer in Connecticut, has won numerous awards, and is licensed by the state. You can email him at mulchmadness@aol.com or call him at 203-250-1030. Preferred Properties is the recipient of the 2008 Award of Distinction. We thought the lighting was great!! I loved it. Al did not know if he liked the spots in the top of the trees, but I did. I might want to add on the spot at the end of the driveway... front of the side patio. This was a very impressive way to a quote. It makes the most sense. No surprises or disappointments, you see what you get. 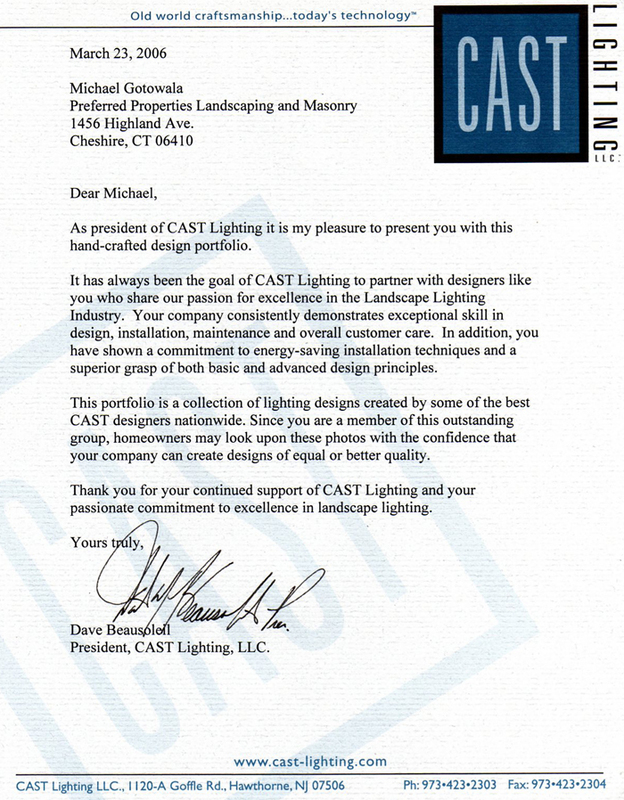 Preferred Properties Landscaping & Masonry was recognized for excellence by founder of Cast Lighting!